Assistant Manager - Burger King UK<br><br>Burger King UK is a new entity formed after private equity firm Bridgepoint Capital recently purchased the rights to the brand in the UK as well as acquiring its major franchisee with over 70 outlets.<br>At Burger King UK we are improving customer attraction and retention through investment in enhancing the customer experience, our food offering, restaurants, teams and franchisees as we build a brand for the next generation.<br>We are now hiring an ambitious Assistant Manager to join us on this exciting journey.<br><br>Job Summary<br><br>As Assistant Manager you work in partnership with the Restaurant Manager and provide direction to both staff and management teams driving sales and profitability, employee engagement and training and retention whilst maintaining the highest standards of guest experience, product quality and restaurant safety and hygiene.<br>Key responsibilities include managing financial controls, operations, people development, guest service and compliance. <br>The Assistant Manager has joint accountability for restaurant operations and a flexible approach to shifts for the proper functioning of the restaurant.<br><br>Responsibilities<br><br>• Business planning; Jointly accountable with the management team of delivering the day to day operation of the restaurant business plan, monthly P&L, management targets and goals.<br>• Communication; Ensure that Team Members and Shift managers understand and work towards meeting the restaurant targets. Attend and participate in weekly manager's meetings, and share best practice knowledge with the wider management team.<br>• People; Create a culture of working with some of the best people in one of the best global brands. You will have responsibility for all people actions including; recruitment, induction, training, rota's, appraisals, performance and disciplinary reviews.<br>• Shift Management; Review sales forecast and KPI's, and oversee the execution of shift targets.<br><br>Qualifications and Experience<br><br>• Minimum 1 year of experience working in the quick service restaurant industry in a supervisory role<br>• Can demonstrate leadership skills and a team-player<br>• Strong communication, problem-solving and organisational skills<br>• Can show a keen understanding and passion for the quick service industry and the core customer<br><br>You must be eligible to live and work in the UK to be considered for this position. 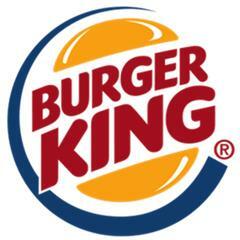 Burger King - Coventry, Warwick Road is posting their hospitality jobs on Harri.